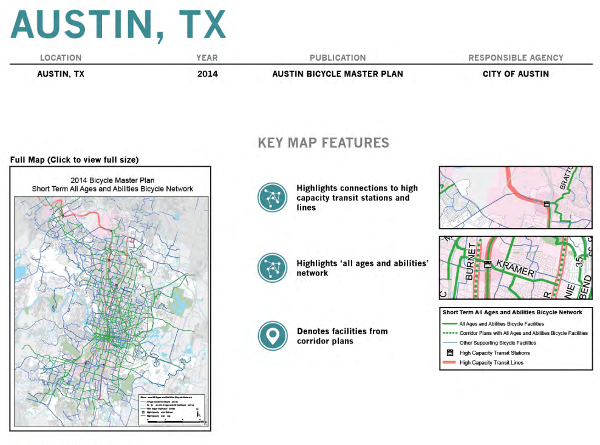 This isn’t the sort of bike map you’d use to plan a picnic — it’s the sort that city planners, advocates, and others use to figure out where the existing network is strong, where it’s weak, and what the most valuable new connections might be. PeopleForBikes is working to make this process a little more quantitative by developing the Bicycle Network Analysis, a numerical score that can be calculated for the current or future biking network in any community. It’ll be one factor in the PlacesForBikes city rating system, but as it develops, we hope it can give local planners the ability to calculate the value of any given parking lane, if only it were to become a protected bike lane instead. That won’t in itself make it politically easier to remove parking. But it might help cities calculate which such battles will actually result in the best results.